This is very innovative and must have accessory for the Can-Am RT. This Mudflap Extension Accent looks so natural on the Can-Am RT it should be a stock accessory. 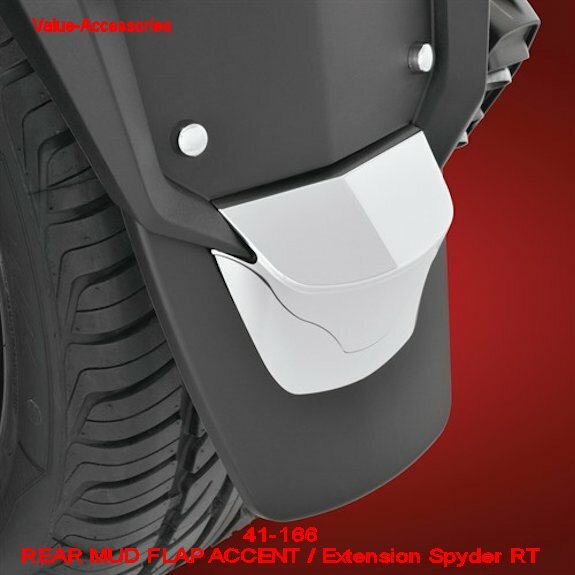 Big Bike Parts Mudflap Extension Accent extends the OEM rear mudflap by 5”, minimizing debris kick up to following riders and is a needed requirement when pulling a trailer to reduce chipping. 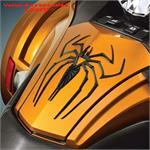 A decorative chrome accent makes the OEM fender and Big Bike Parts Mudflap Extension Accent look as one. 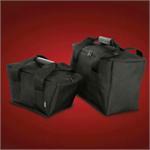 Attaches easily with double sided tape and 2 screws. 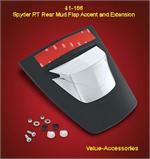 Works with most trailer hitches, including Big Bike Parts own # 41-164 Spyder Hitch. REAR MUD FLAP ACCENT, For Can-Am RT 2010+, Extends Existing 5" in Total Length.